Despite some wonderful hedonic highlight tracks, Super Slimey runs into the same issue many projects by prolific trap rappers suffer from: a lack of time and effort. It’s still enjoyable. 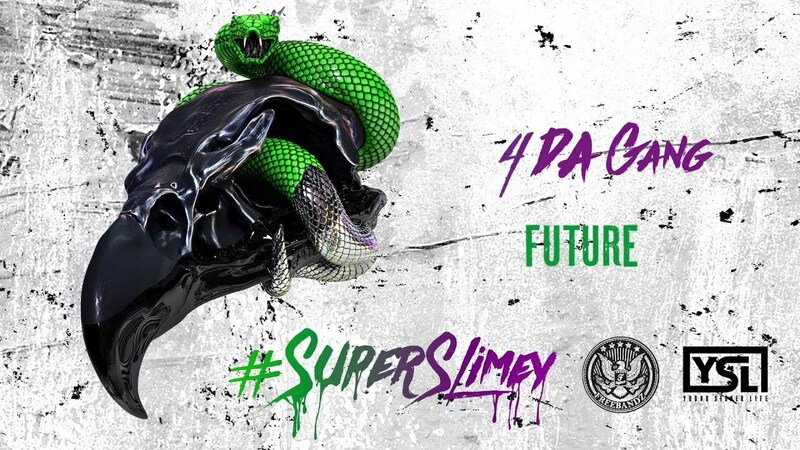 Super Slimey, the new joint project by Young Thug and Future, begs to be iconic. 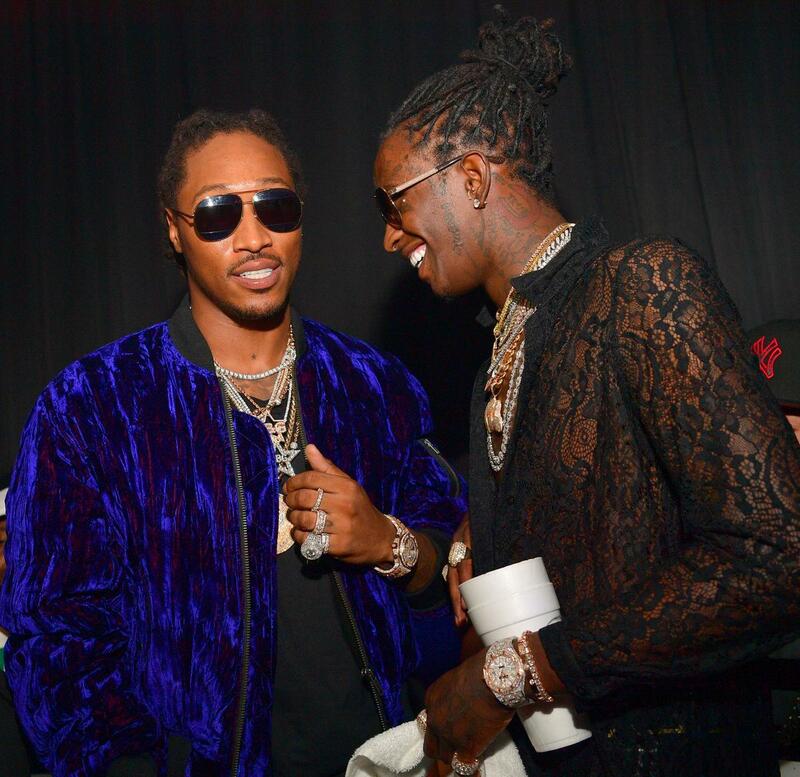 In some ways, Thugger and Future represent a duality at play; while the Atlanta stars are both known for their auto-tuned melodies, prolific output, and variety of mellow beats, they exist on opposite levels. Thug is eccentric where Future is lowly serious. Future’s codeine-laced proclamations are countered by Thug’s disgusting (often unintelligible) jokes and ad-libs. While Young Thug is regarded more often as an artistic visionary than Future, they operate on different sides of the same spectrum. A joint project then, now that they’ve both come into their own realms and matured within their respective styles, feels like it should flood the air with rich bangers and sad, screeching melodies. Super Slimey falls flat of this lofty aim, which is perhaps inevitable. This isn’t to say that the project isn’t good — it’s adequate, and exactly what one may have expected from a joint project. The album is fun, and filled with the staple of thick trap beats and classic flows that launched both Future’s and Young Thug’s careers. Although most of this article critiques the notion that the album isn’t excellent, it’s thoroughly pleasant. Future and Thug are both solidly comfortable with their prominence and abilities, and it shows in Super Slimey. There’s a feeling of inevitability about this project — it was destined to be mediocrely enjoyable, but enjoyable nonetheless. This mediocrity can be attributed in large part to the prolific output of both Young Thug and Future. So far in 2017, Young Thug has released his Beautiful Thugger Girls album, an EP titled Young Martha, and now Super Slimey. In addition to Super Slimey, Future also released his self-titled fifth album and HNDRXX, both in February of this year. This number of album releases is not unusual for Thug or Future, and is consistent with their past output levels. While many artists will wait a few years before releasing a new album, Atlanta trap rappers are traditionally prolific (think of Gucci Mane’s output). The traditional two to three year album cycle allows the artist a time to write, edit, and record more than enough songs for one album and only the best tracks make the cut, generally determined by the label and the artist team. This allows for some measure of quality control that is simply not feasible when one is releasing a new album every four to seven months, as Thug and Future do. Sometimes, the albums maintain a high number of quality songs (like Thug’s JEFFERY and Future’s DS2) but more often than not there’s a few good tracks and loads of low-quality filler. To some extent, that’s what happened with Super Slimey. The promising combination of two unique flows was undermined by the fact that it felt like Thug and Future didn’t really work that hard on the project. I was hoping for a fully produced and effortful version of Drake & Future’s 2015 What A Time To Be Alive, but the product is somewhat lesser. There are some great highlights, sure. “Cruise Ship” and “Patek Water (feat. Offset)” are catchy, gratifying and authentic in artistic style. “4 Da Gang”, a Future solo track, is certifiably fine. For those looking for a classic Thugger melody, you’ll appreciate the Thug solo track “Killed Before”. “Group Home” was also intriguing — Future adapts huskier vocals in this track than he does in most of his songs, and the result is nice to listen to. All in all, it’s an album composed of solid songs, albeit unmemorable both in standalone tracks and as a unit. The bottom line: as a collective project, Super Slimey is unimpressively great.